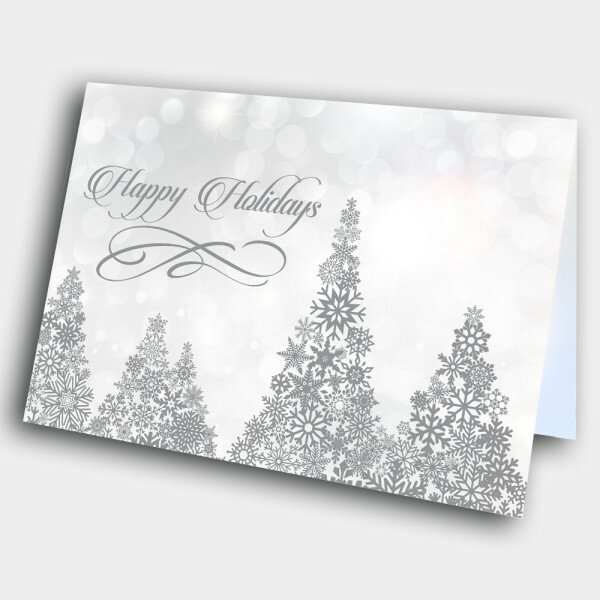 An intricate, classy holiday greeting card to share some warm wishes of the season. 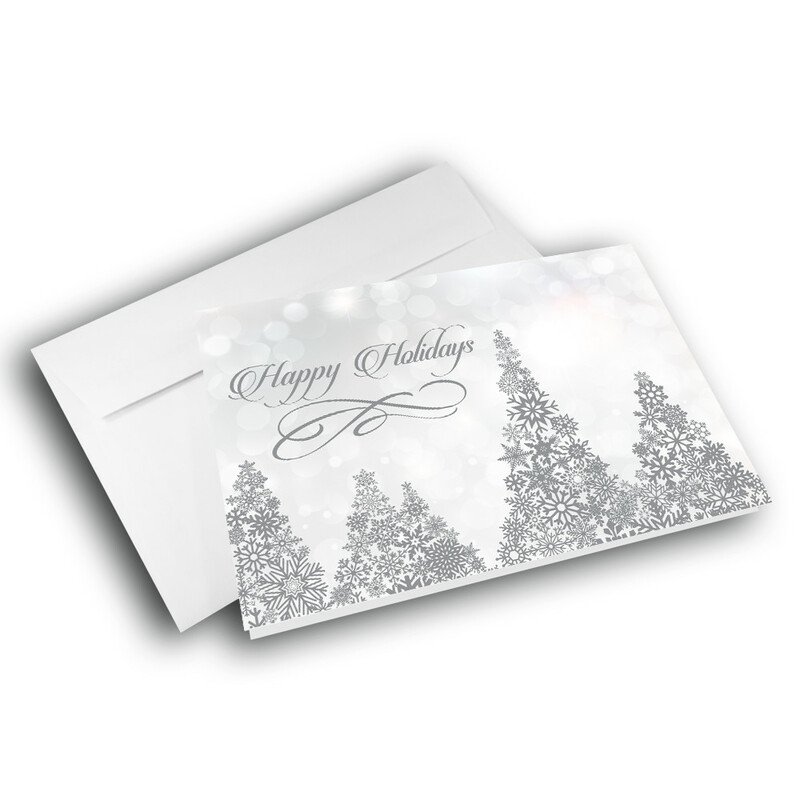 This elegant, professional holiday card is perfect for any business or corporate setting, as well as personal. 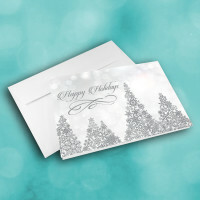 The silvery front is adorned with majestic Christmas trees, each composed of numerous, intricate snowflakes. 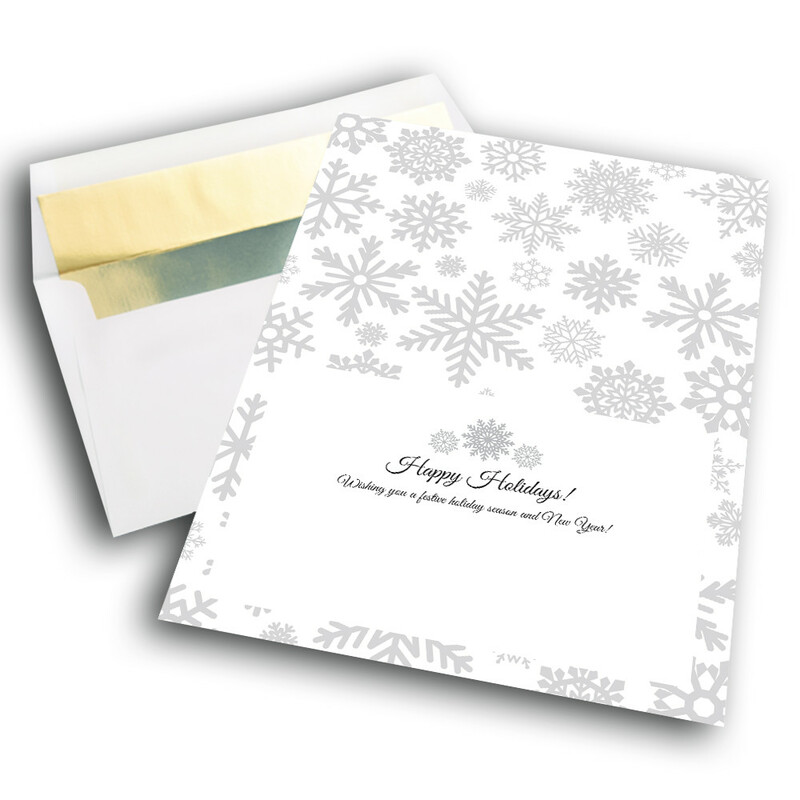 The holiday greeting is smoothly penned across the side. 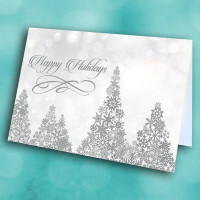 The interior is patterned with more snowflakes, and displays the holiday greeting. 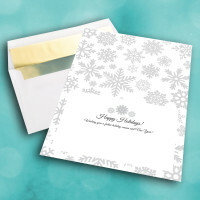 Personalize this message to make the card more meaningful.